Here she is. 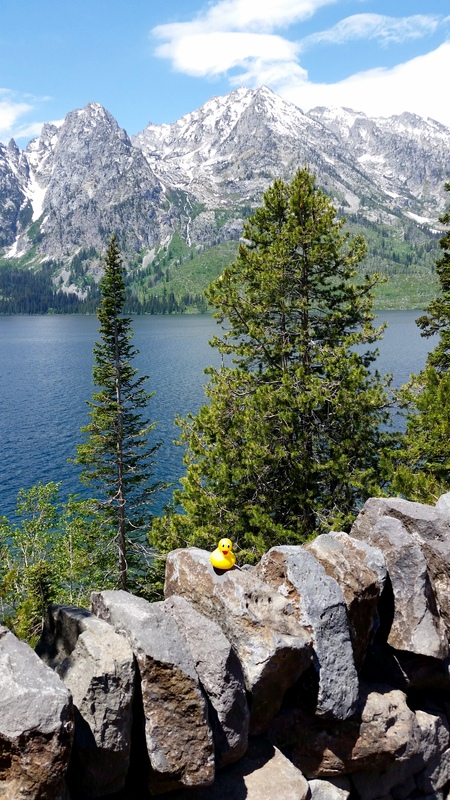 Still traveling in Wyoming, Ms. Ducky is entering Grand Teton National Park. 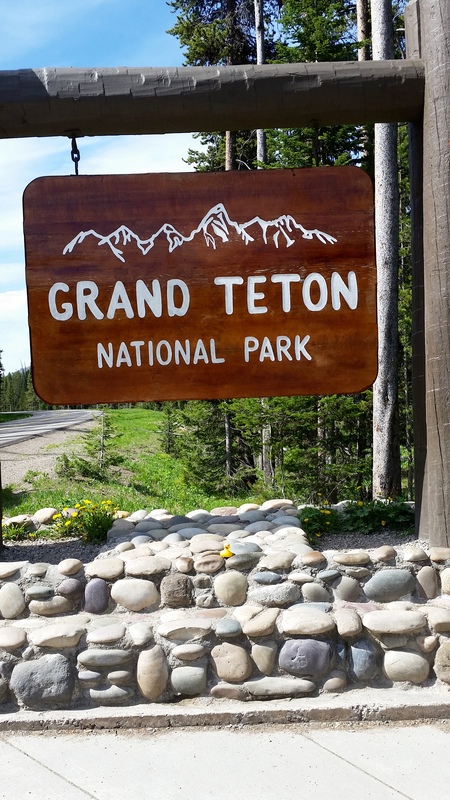 Heading toward Jackson Lake Lodge, a National Historic Landmark, she and her humans take in the beautiful mountain view. 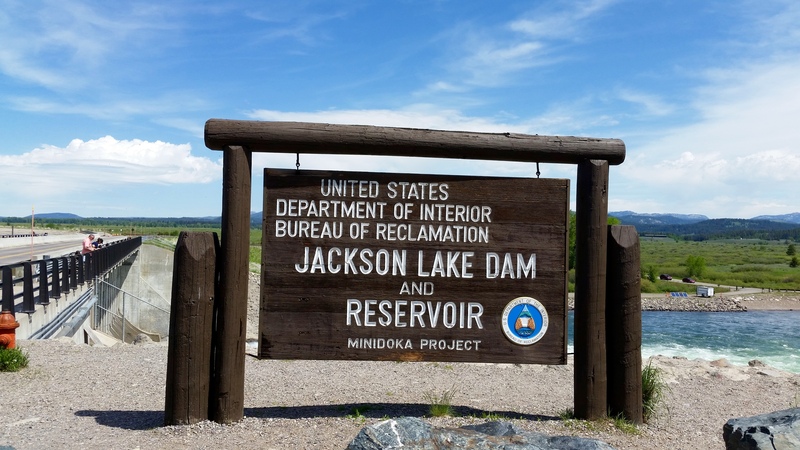 Onward to Jackson Lake Dam and Reservoir. The river cuts through the land. 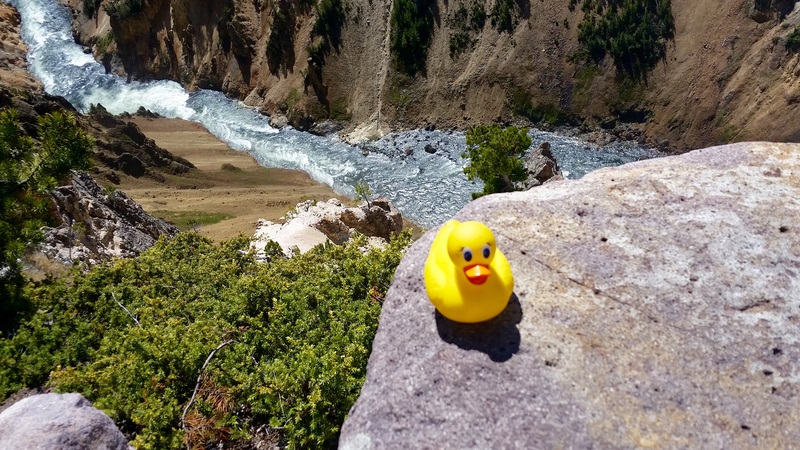 These are absolutely beautiful photos, Ms. Ducky. 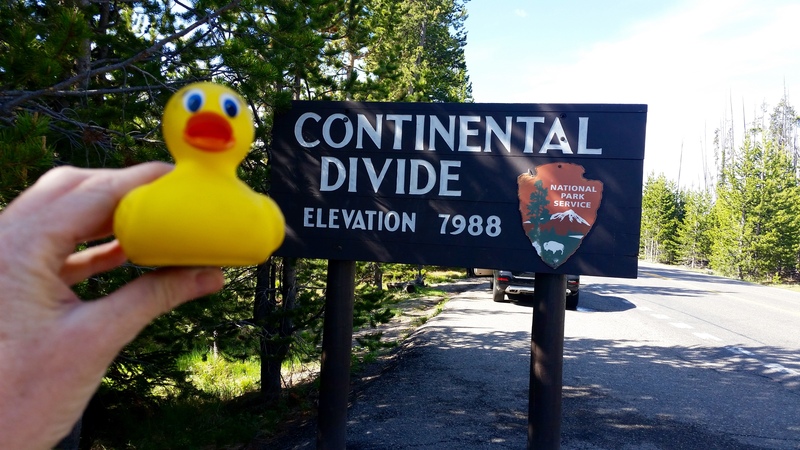 Driving through the Rocky Mountains, the humans and Ms. Ducky crossed the Continental Divide several times. 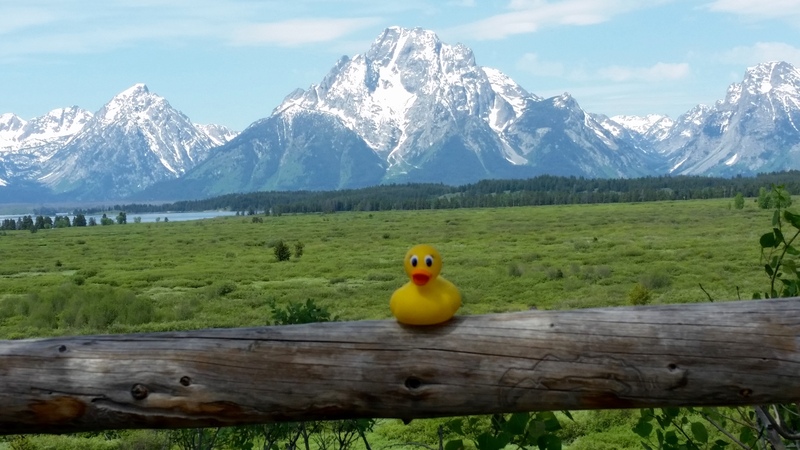 Wow, Ms. Ducky, Grand Teton National Park is a beautiful place. Thanks for sharing these pictures. It looks like you arrived back home in Colorado. 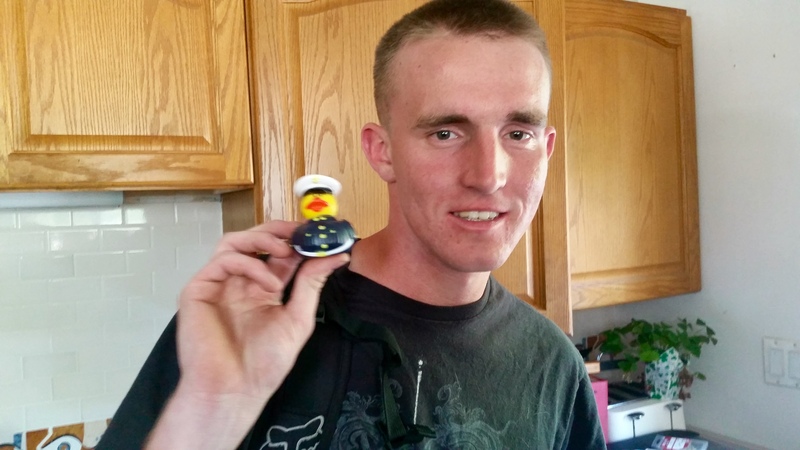 Your human US Marine, Joe, shows us Joe the Marine Duck. This seems like a great family vacation. 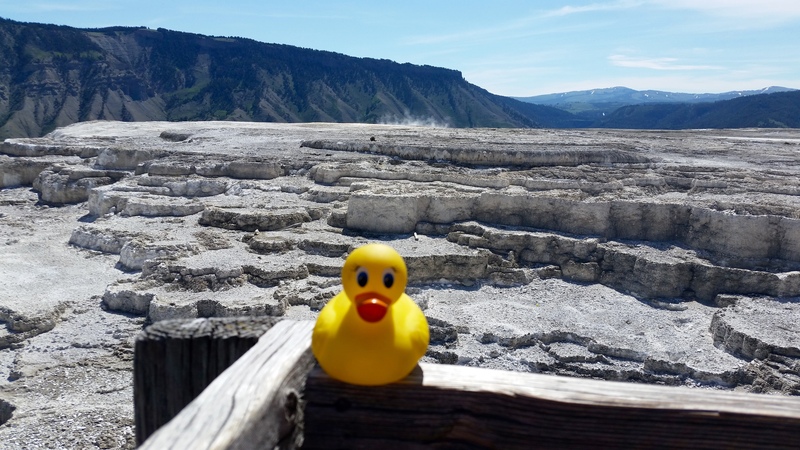 Today Ms. Ducky will show you pictures of some geysers at Yellowstone National Park. 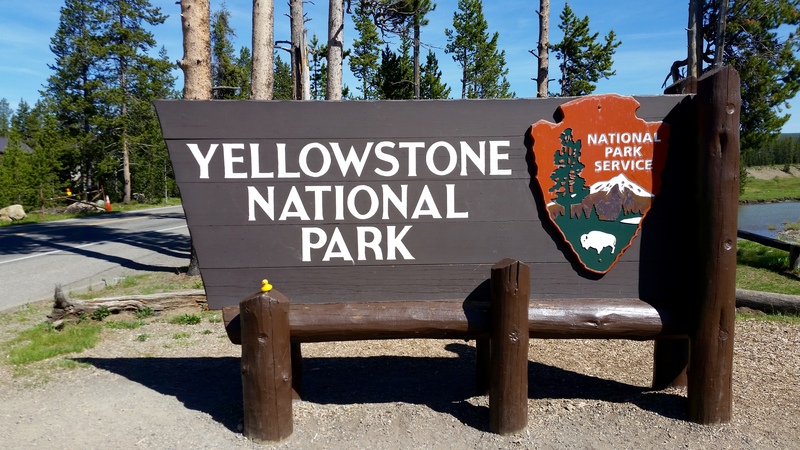 According to National Geographic’s Guide to the National Parks, Yellowstone is a “geological smoking gun”. 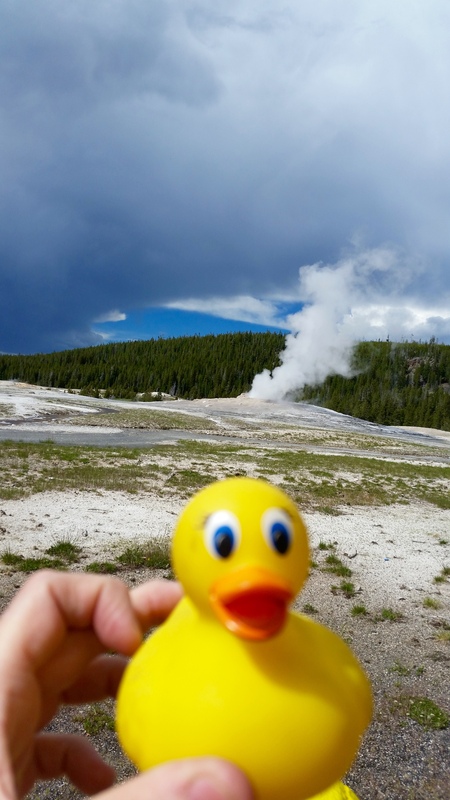 Here is Ms. Ducky at Mud Geyser. 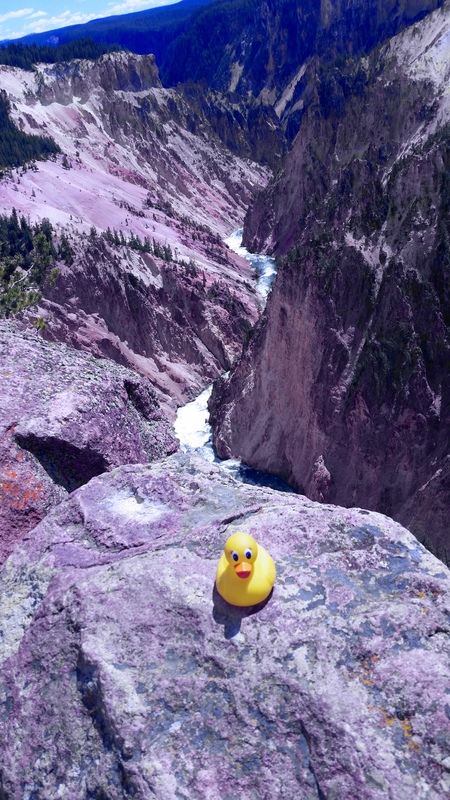 Don’t get in that water, Ms. Ducky. 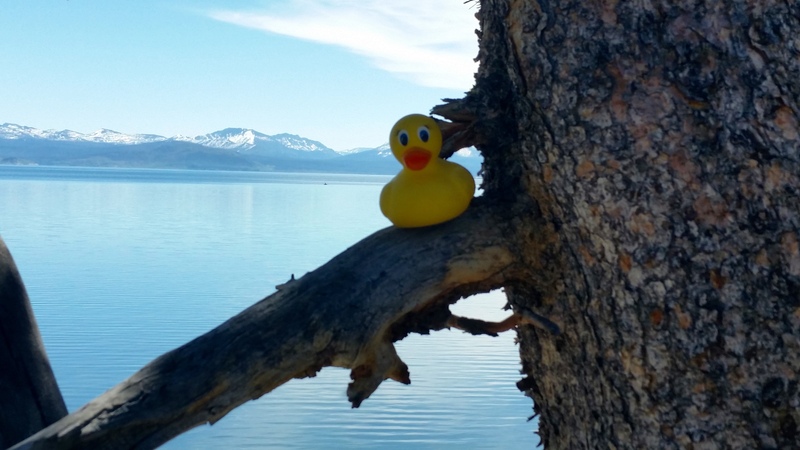 Ms. Ducky. 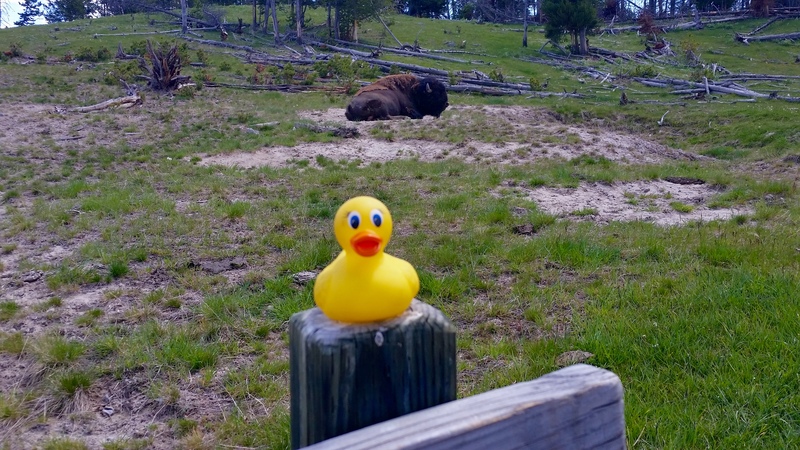 There is a buffalo behind you. 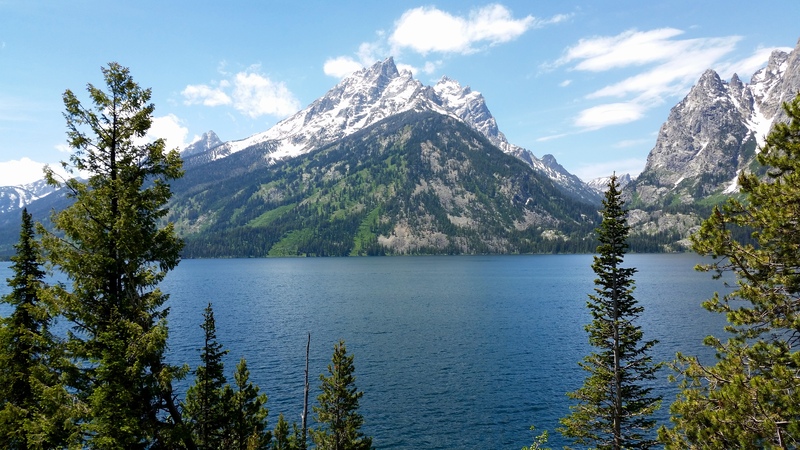 Of course, this is the Rocky Mountains, so let’s see a mountain lake. 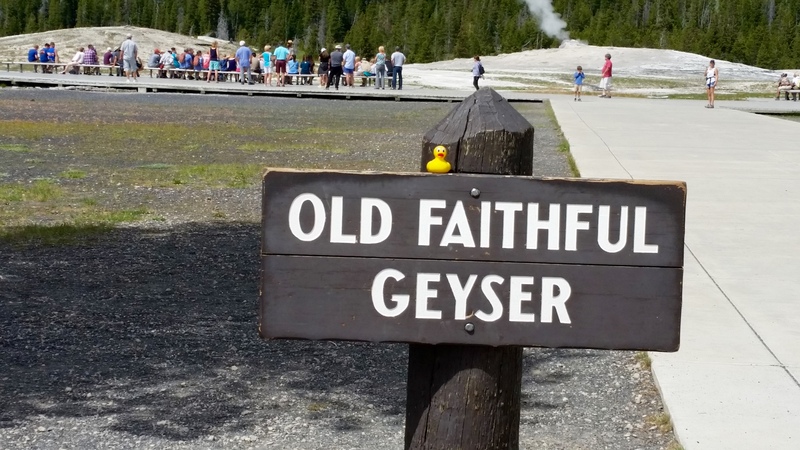 Possibly the best known geyser in Yellowstone National Park is Old Faithful. 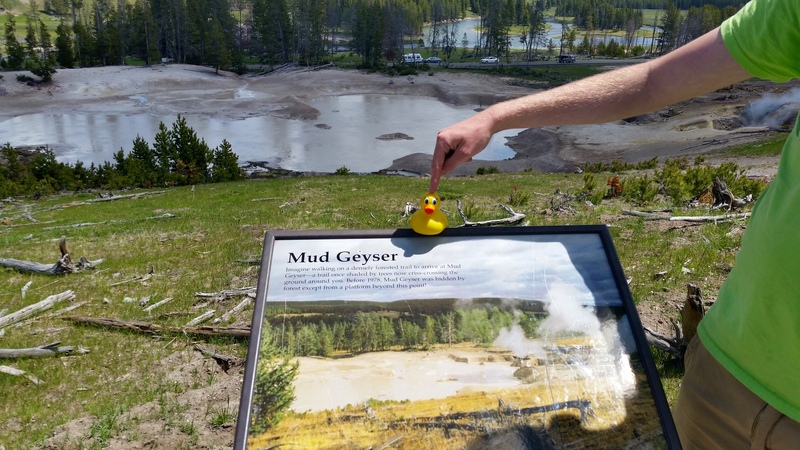 This geyser’s eruptions are predictable, so many humans gather here waiting for the next eruption. 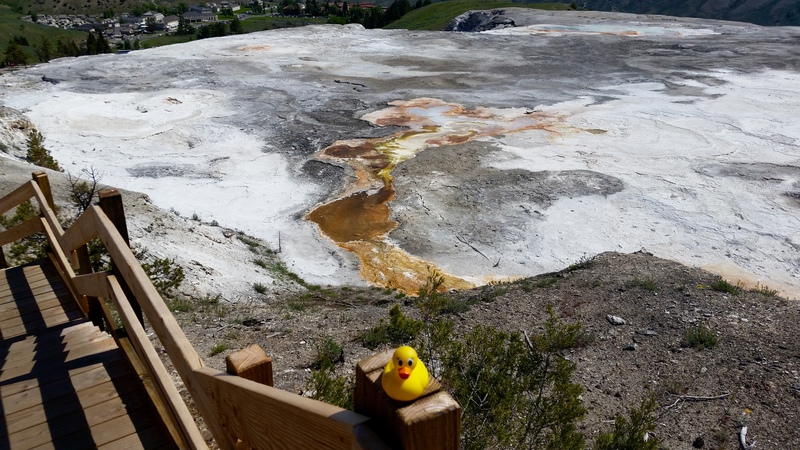 Isn’t it beautiful at Yellowstone? 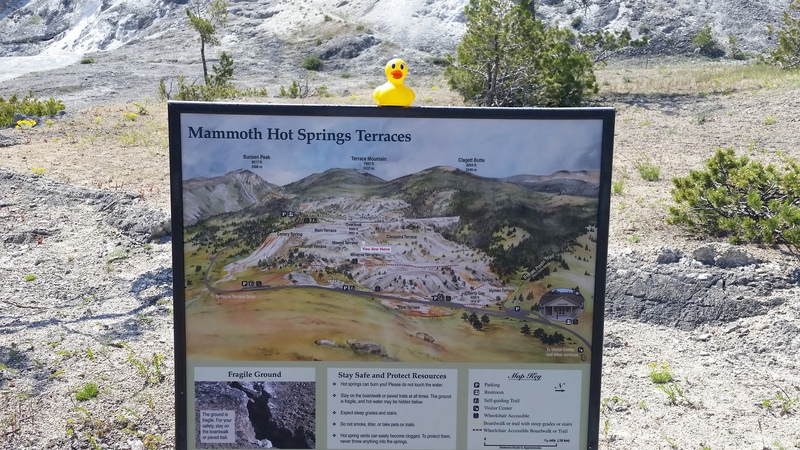 Let’s go to Mammoth Hot Springs Terrace for a different landscape. 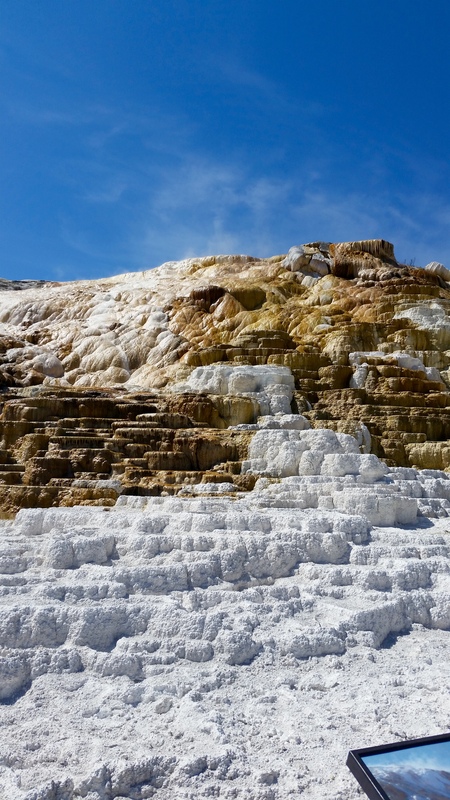 The steaming terraces are made of travertine, calcium carbonate, which the hot water brings to the surface from beds of limestone. 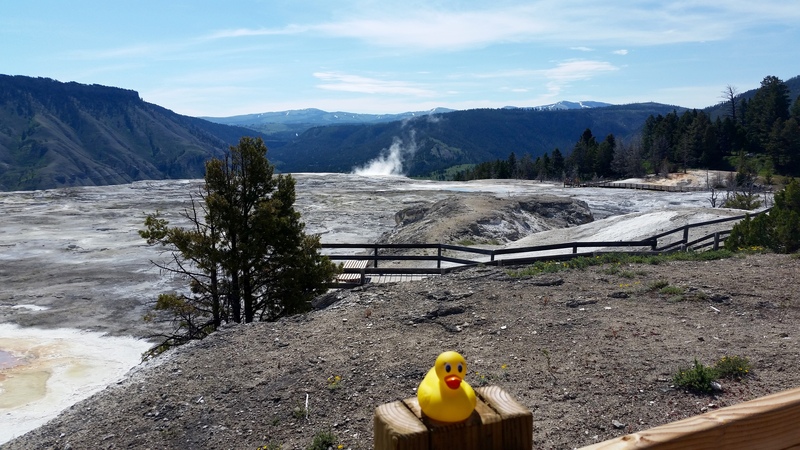 A whole new look for geyser landscape. Isn’t this interesting? We love to see this stuff. 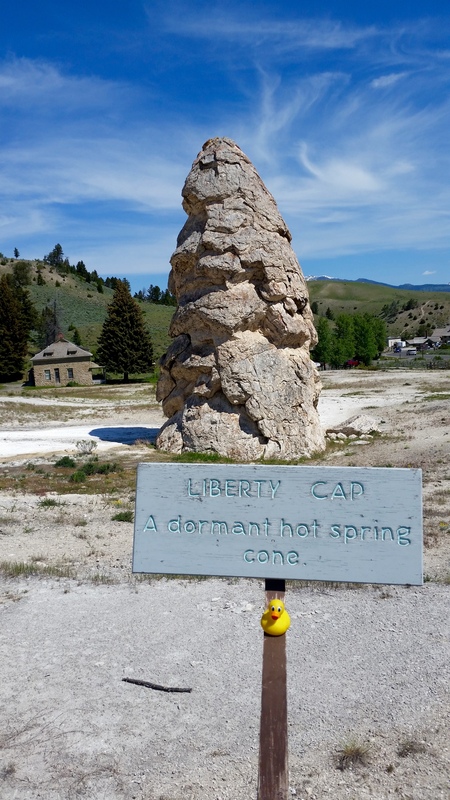 This is a dormant hot spring cone. This is something new. 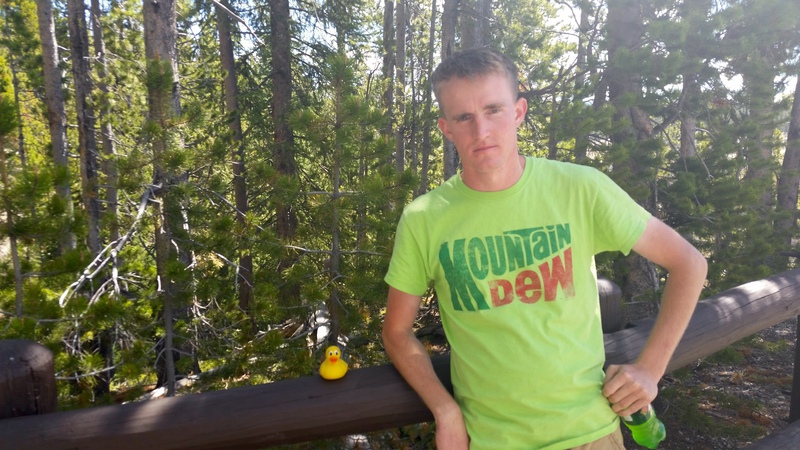 We, the Colorado Traveling Ducks have never seen anything like it. 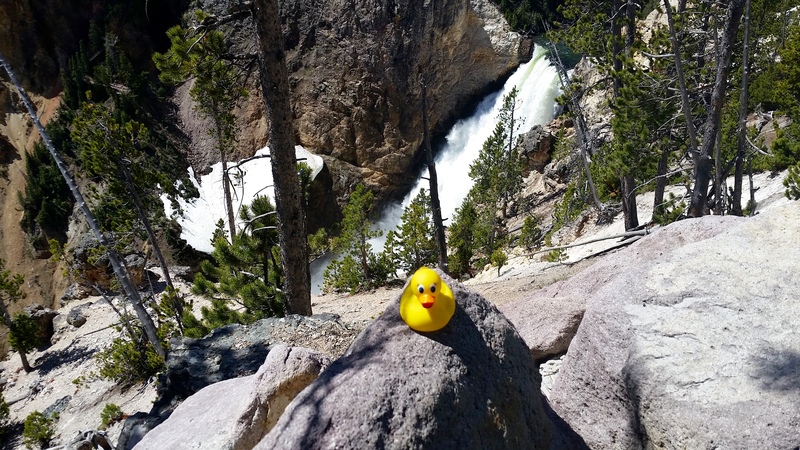 This is great Ms. Ducky. Thanks for sharing all these great pictures with us. 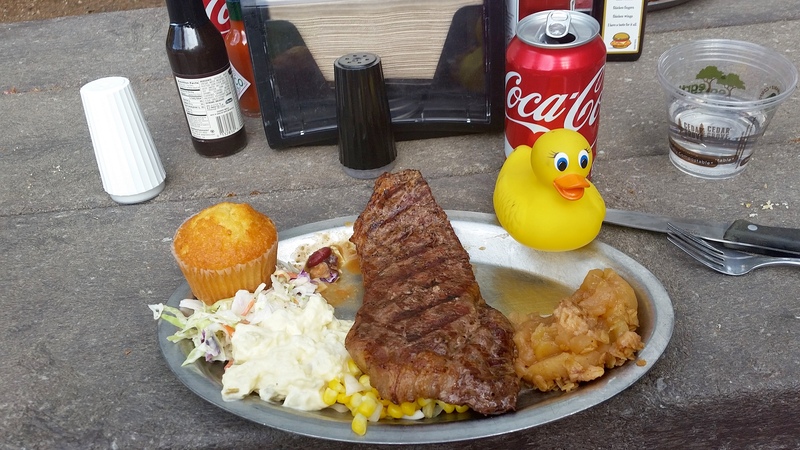 We will have from Ms. Ducky next time. We still think you are very photogenic. 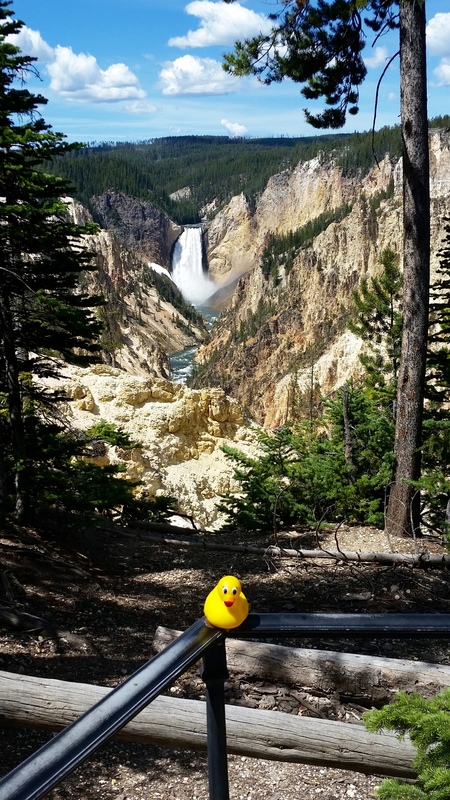 I, Zeb the Duck, and Soapy Smith Duck, are impressed with Wyoming women. 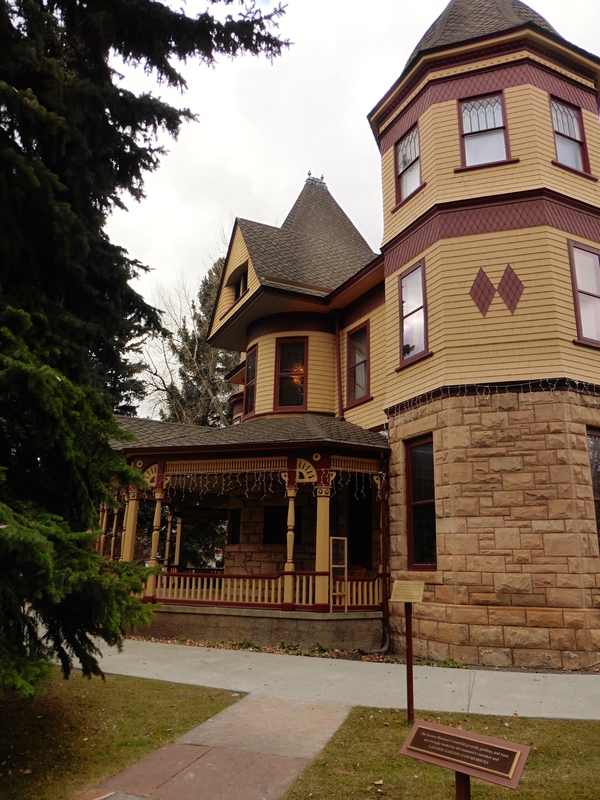 In Laramie, Wyoming we visited the Ivinson Mansion. In 1870 Edward Ivinson bought this city block for his personal residence. When completed, the mansion had central heating, electric lights and running water. 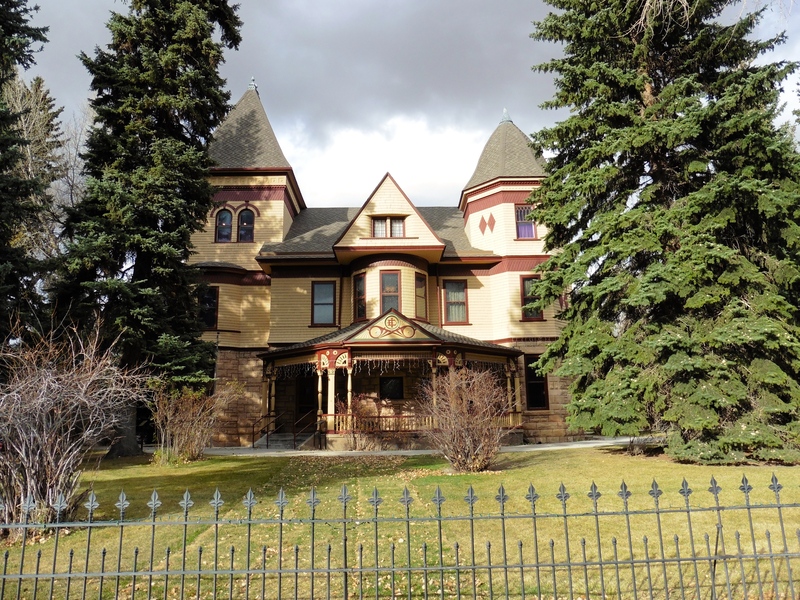 The Ivinson Mansion was the “crown jewel” of Laramie. 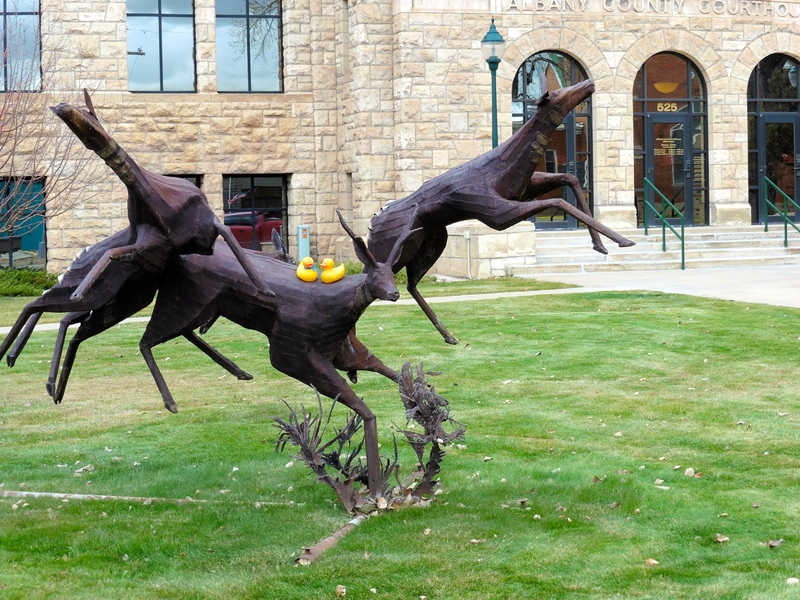 Today the mansion contains the Laramie Plains Museum, which is listed on the National Register of Historic Places. 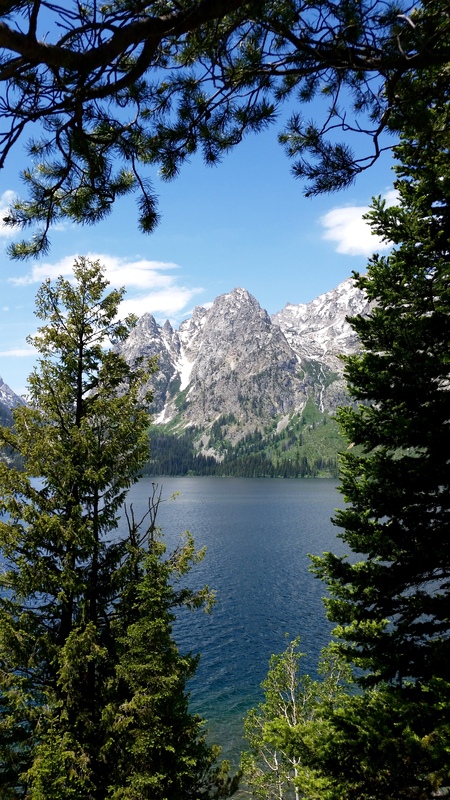 Today I want to tell you about the women of Wyoming. 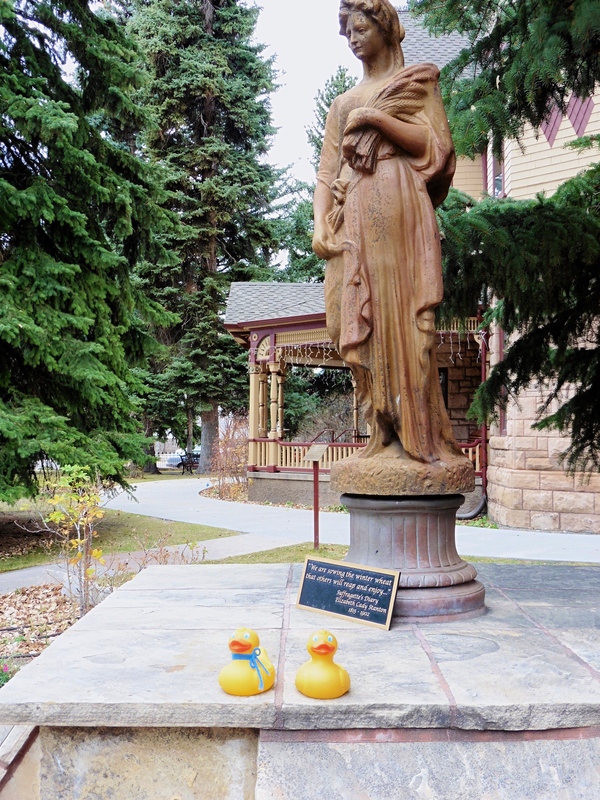 On the grounds of the Ivinson Mansion this statue of Elizabeth Cody Stanton is a tribute to Wyoming women as they shattered the political barriers of the times. In 1870 the first women were on a jury. 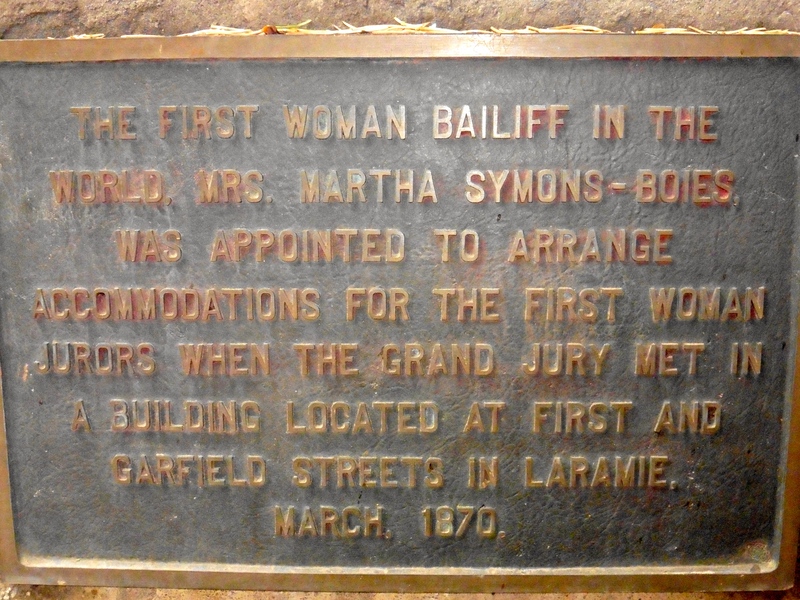 In the same year and for the same trial, Martha Symons-Boies became the first woman bailiff in the world. 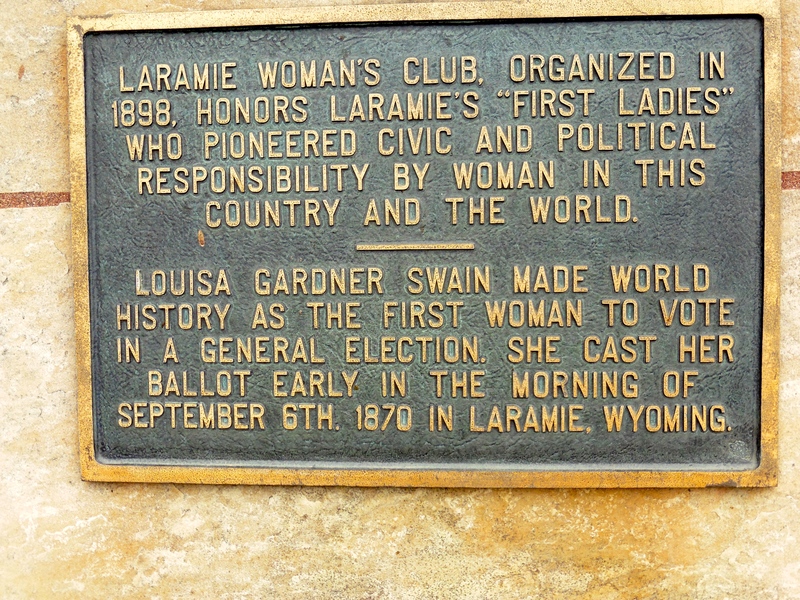 In the same year on September 6, 1870 Louisa Gardner Swain became the first woman to vote. 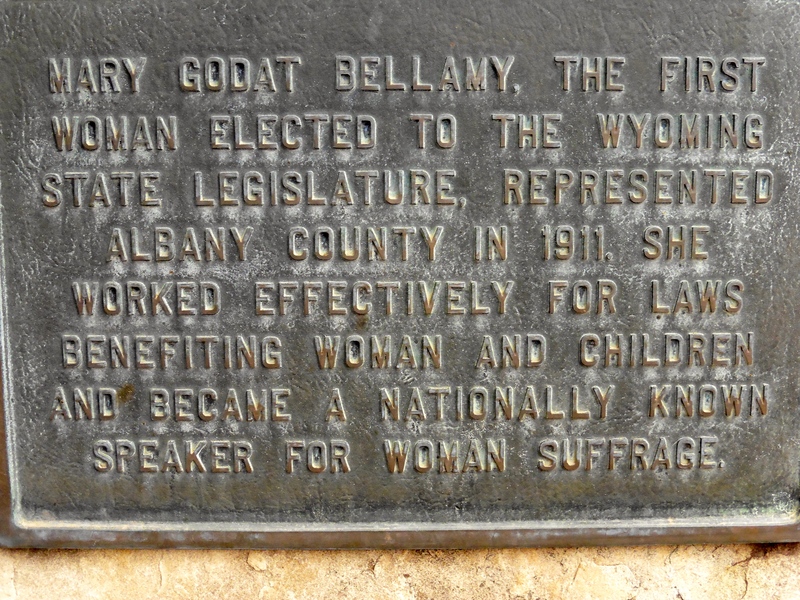 If that were not enough firsts for the women of Wyoming, in 1910 Mary Godat Bellamy, Mollie to her friends, became the first woman to be elected to the Wyoming state legislature and began serving in 1911. She was elected again in 1918. 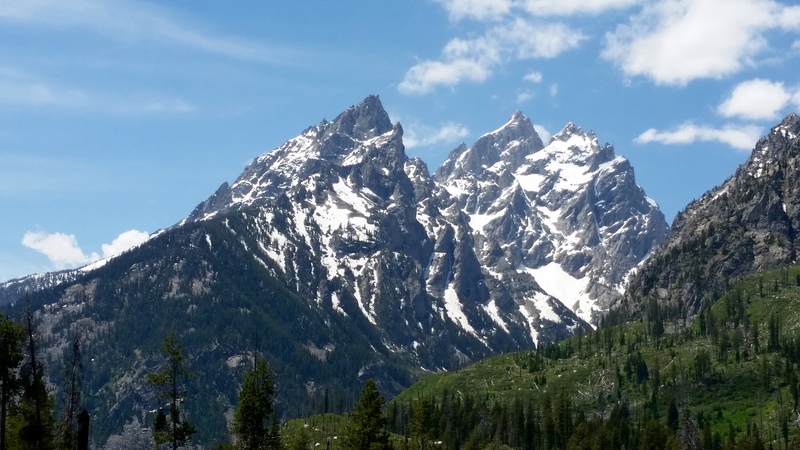 Wyoming is a fascinating state and the early women of Wyoming were fantastic! 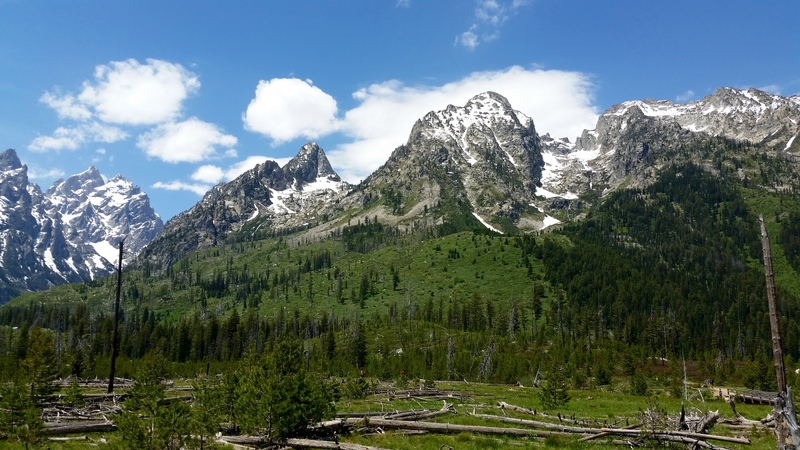 Now I like Wyoming even more than before. 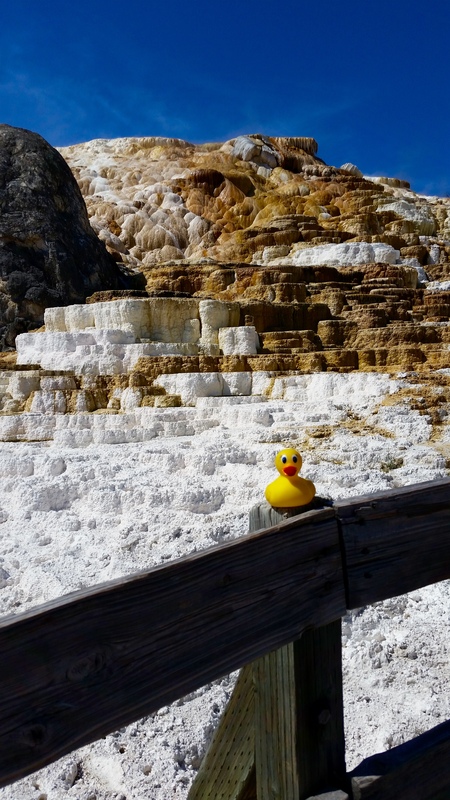 I, Zeb the Duck, and Soapy Smith Duck, were in Laramie, Wyoming. 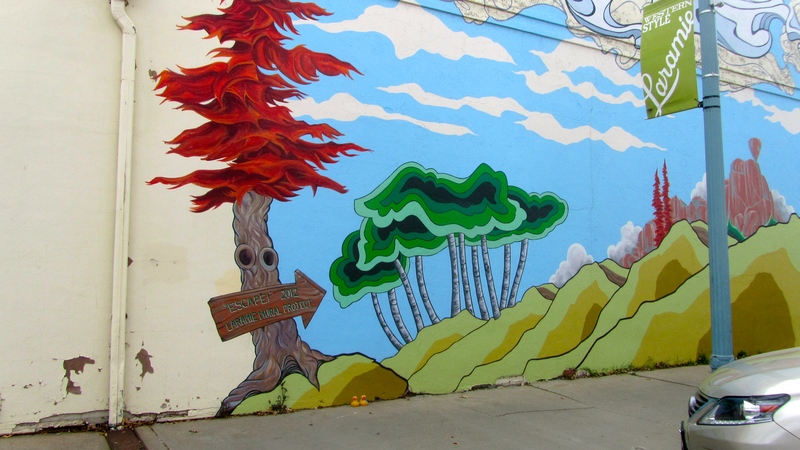 Walking toward the train depot, we saw great murals. 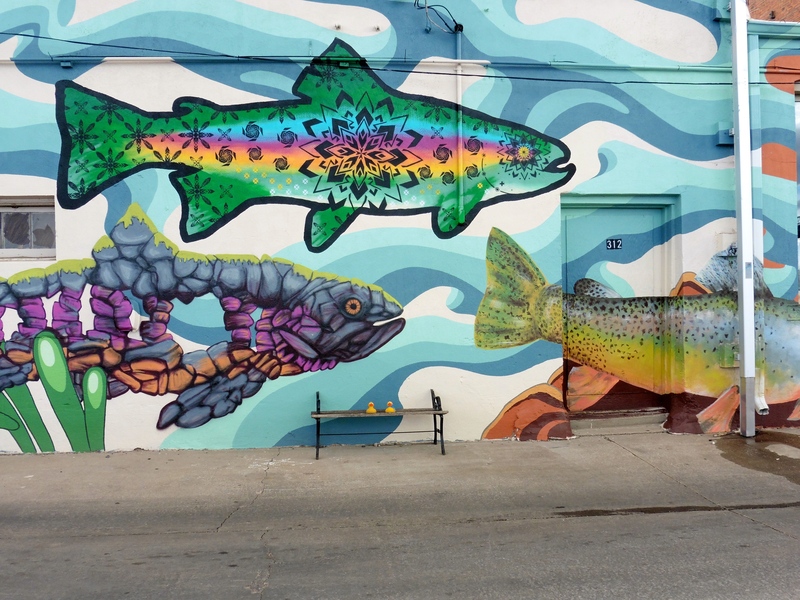 The Laramie mural project is a joint venture between the University of Wyoming Art Museum, local Laramie artists, downtown business owners and the Laramie Main Street Alliance. The blank walls of buildings, usually the back of the building, are painted. 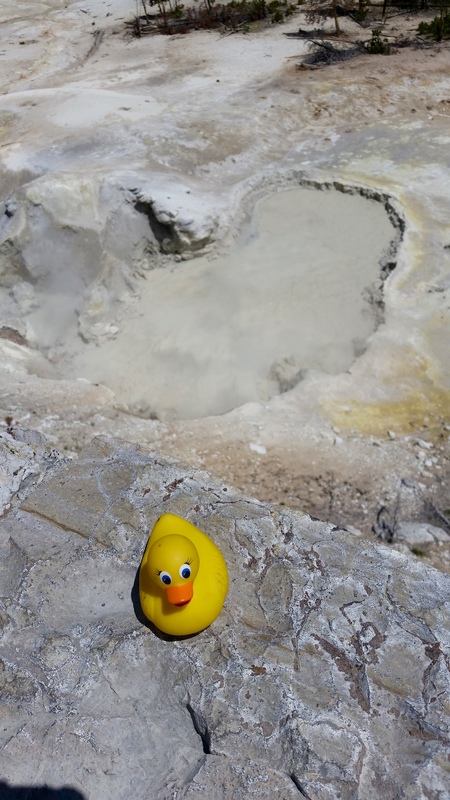 We really want to show you some more of what we saw. 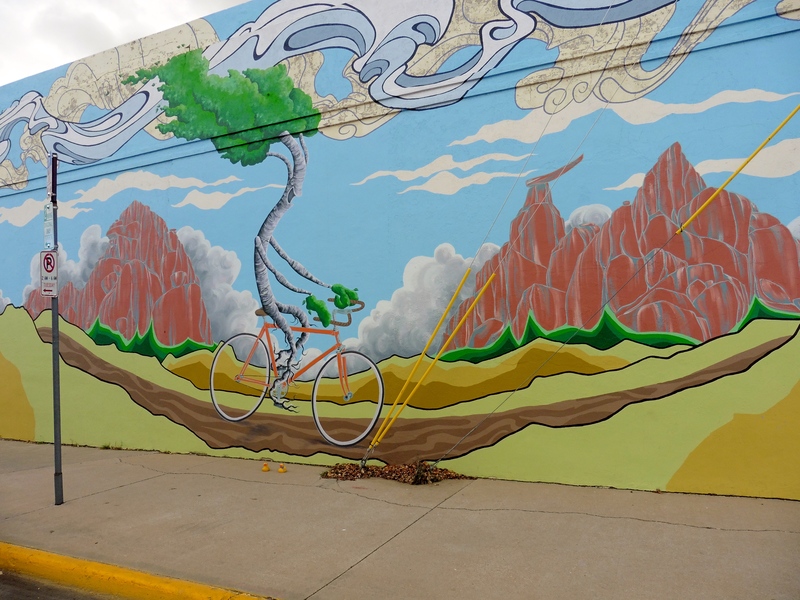 We hope you go to Laramie, Wyoming to see these murals. We saw them in different places as we were walking around. 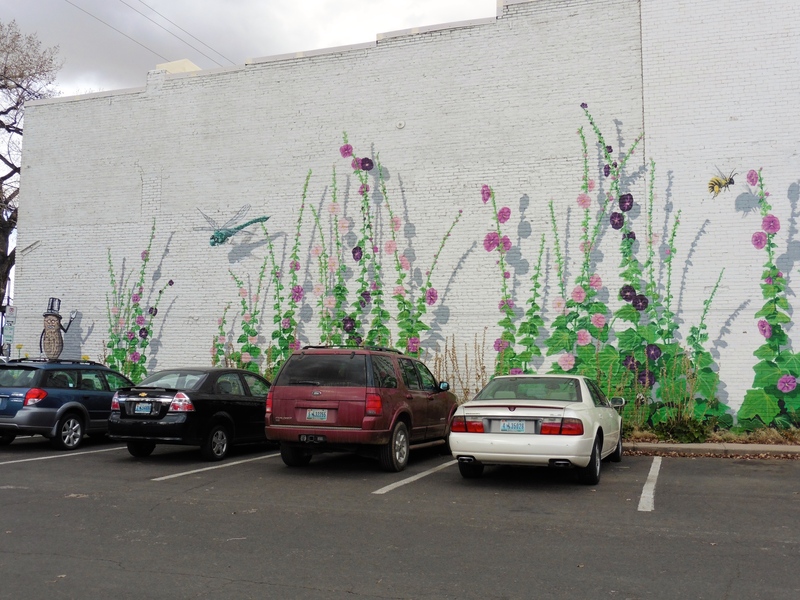 It was fun to turn a corner and see another mural. 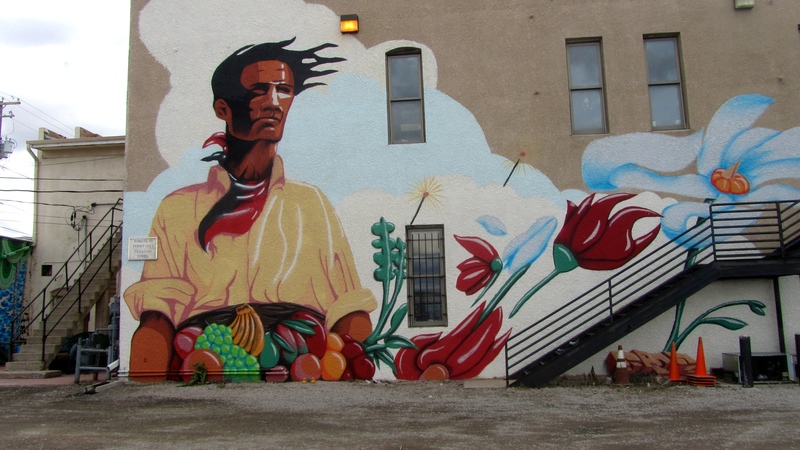 You can get information and locations of the murals from the visitor’s center. We did not. 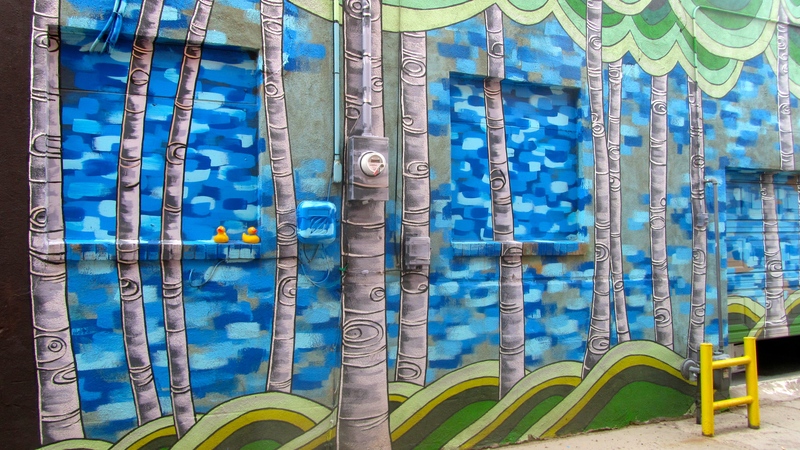 We enjoyed just walking and discovering murals. 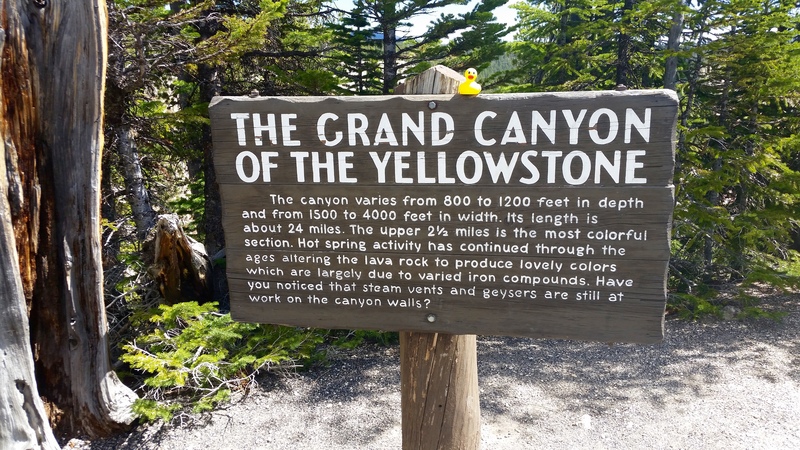 We probably did not see them all, but we liked all that we saw. 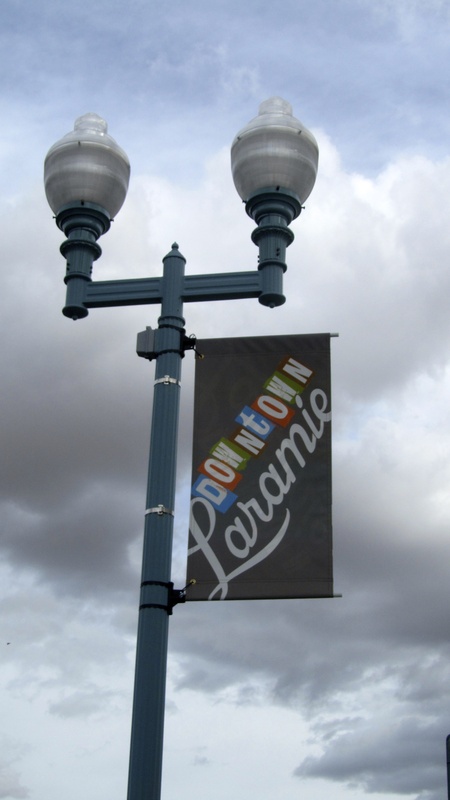 For more information visit http://www.LaramieMuralProject.org We know you will enjoy a day or more in Laramie, Wyoming. We did. 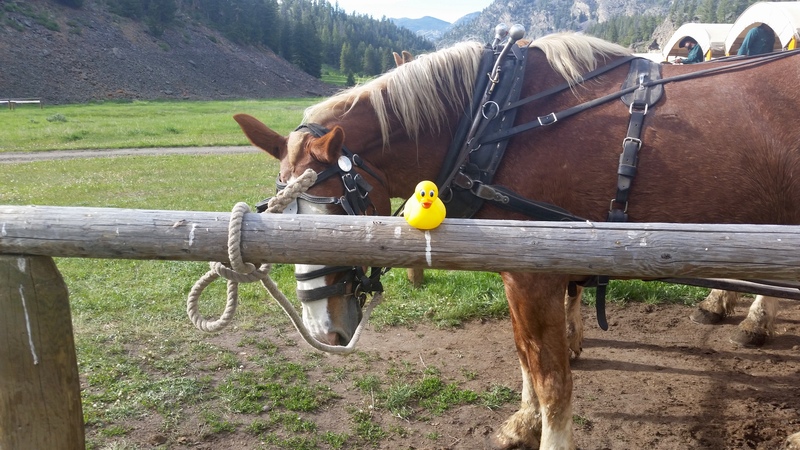 Zeb and Soapy Smith Duck wandered through downtown Laramie, Wyoming. We liked the sign. The sky looks threatening. 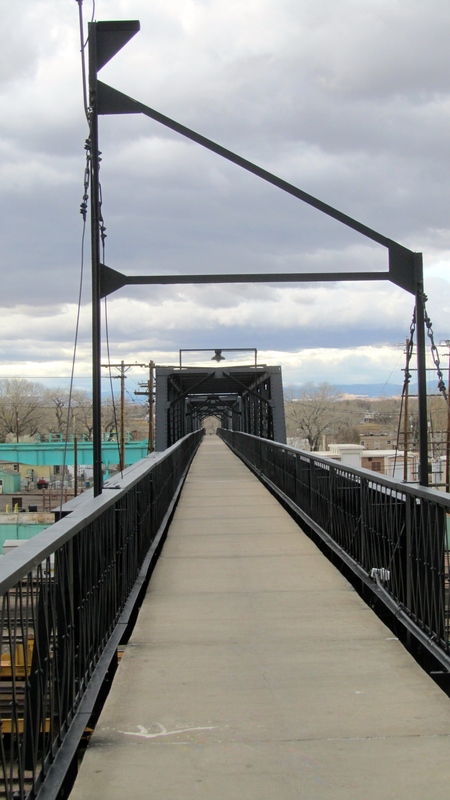 Laramie has signs for a walking tour of the area. We saw the remaining stones from the Bucket of Blood Saloon. Lawlessness was a way of life. 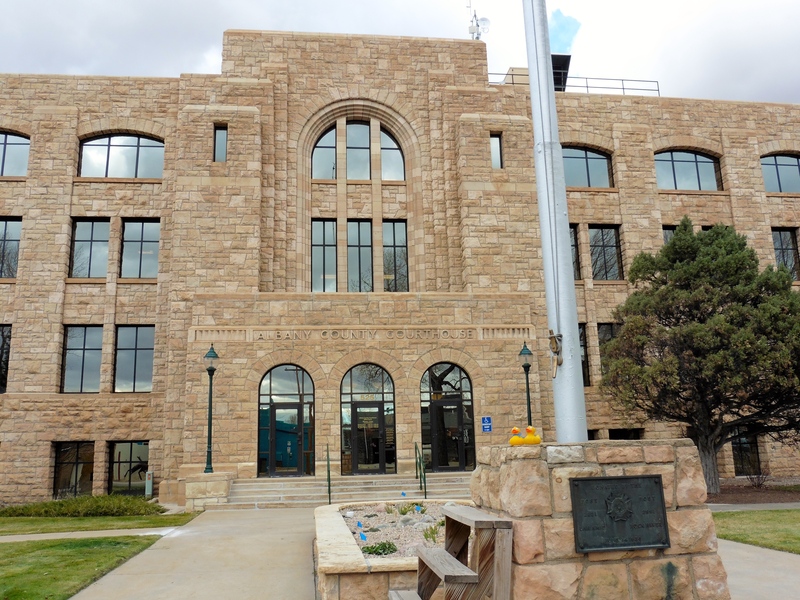 In the early days Laramie was run by 3 criminals: the self appointed Marshall, the Mayor and the Justice of the Peace. Rules were decided in the back room of their saloon. Landowners were forced to give up their land and miners had to give their claims. If they refused, the gunfights in the streets leave no doubt as to the name of the saloon. The Bucket of Blood was aptly named. 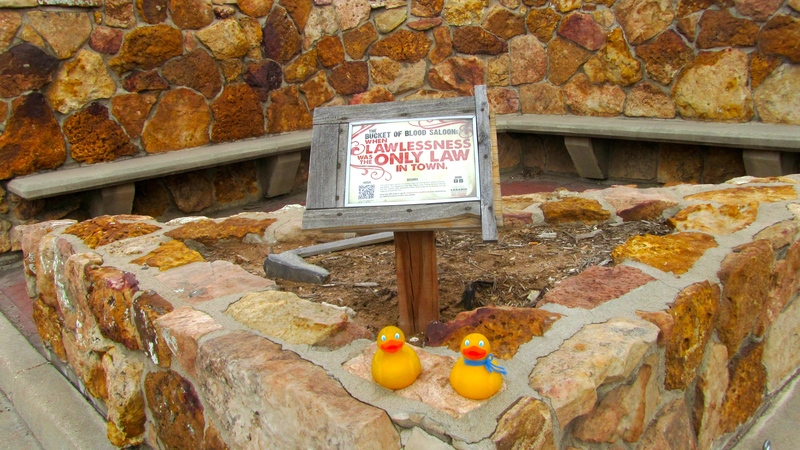 We ducks always follow the laws, so we would have had a difficult time in Laramie’s early days. 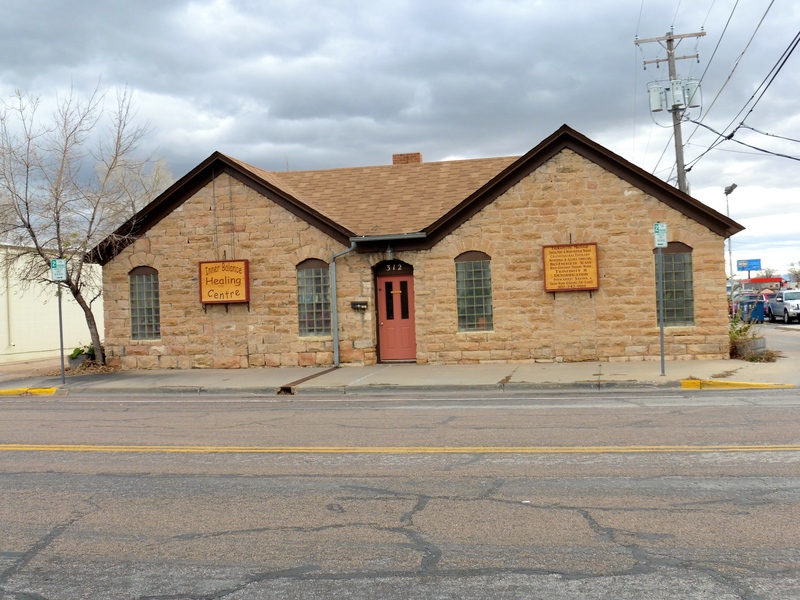 The sign said that about 1868 Laramie had 23 saloons, but not one church. So, St. Matthew’s cathedral was constructed. This is a beautiful cathedral. 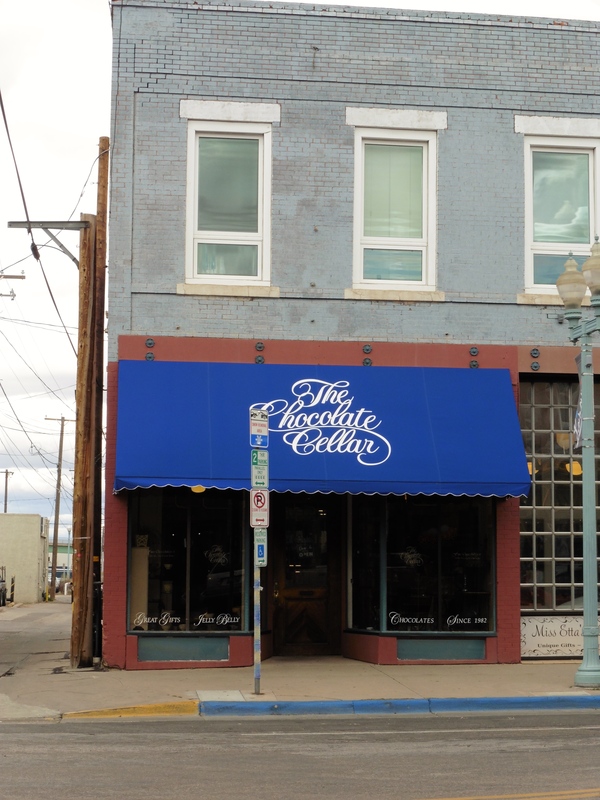 Next we spotted The Chocolate Cellar. Now we really love Laramie. This stone building got our attention. We think the stones are very attractive. One side of the building is Inner Balance Healing Center. The other side is Therapeutic Massage. We like these old buildings. Albany County Courthouse is still used today and looks very impressive. We smiled at this sculpture in the front lawn. Laramie is nice. 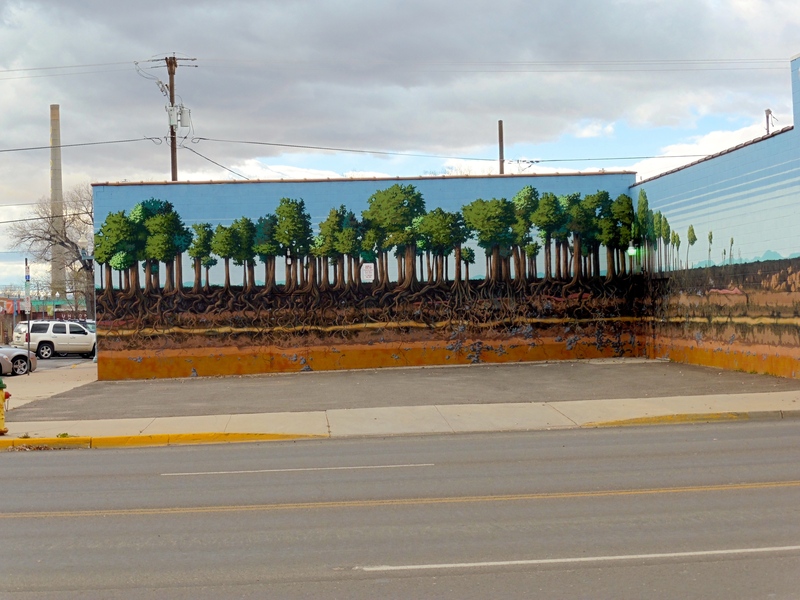 We are glad we visited downtown Laramie, Wyoming. 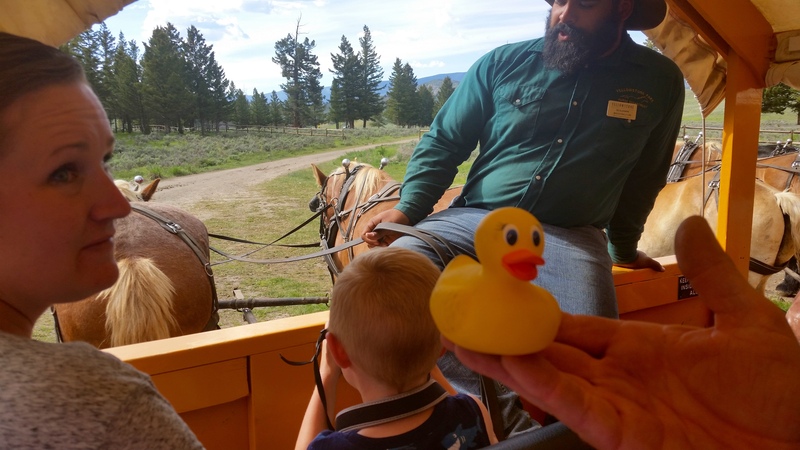 I, Zeb the Duck, and Soapy Smith Duck, went to Laramie, Wyoming. 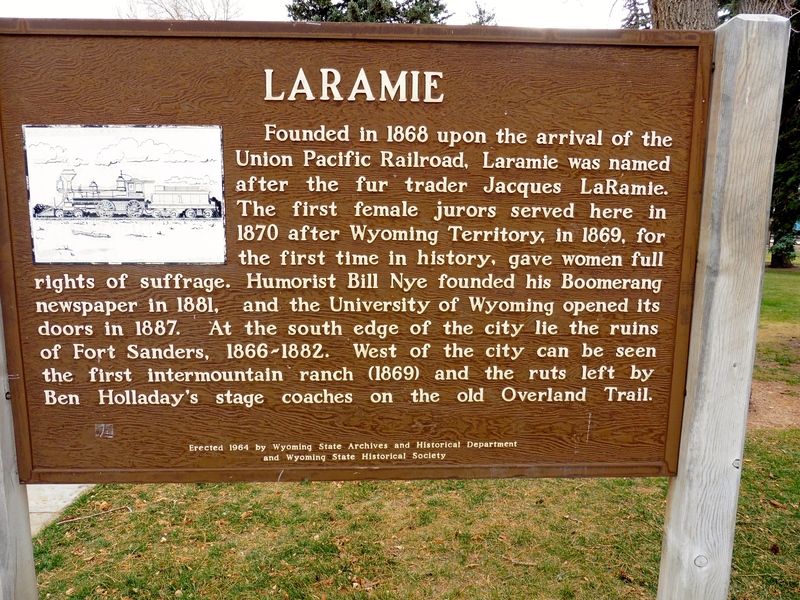 Laramie was founded in 1868 when the Union Pacific Railroad came to town. This sign tells about early Laramie. 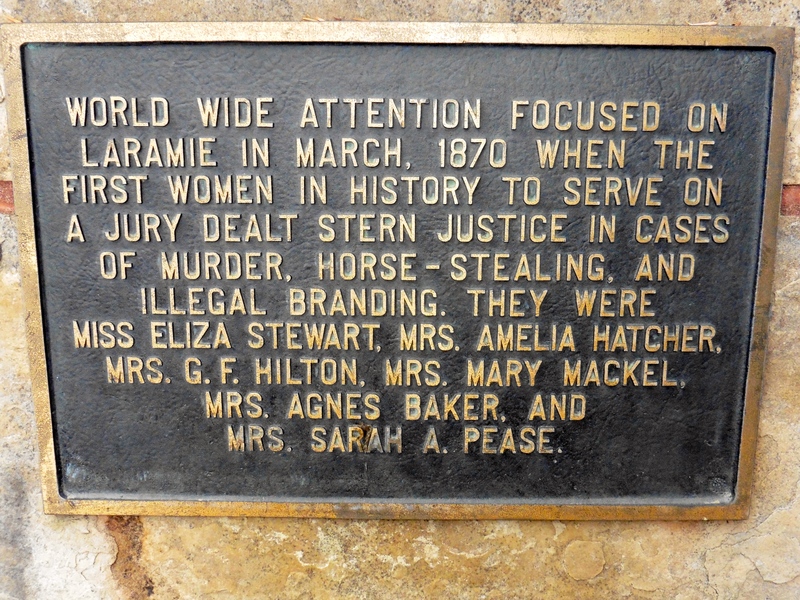 We will talk about the women of Laramie on a later day. 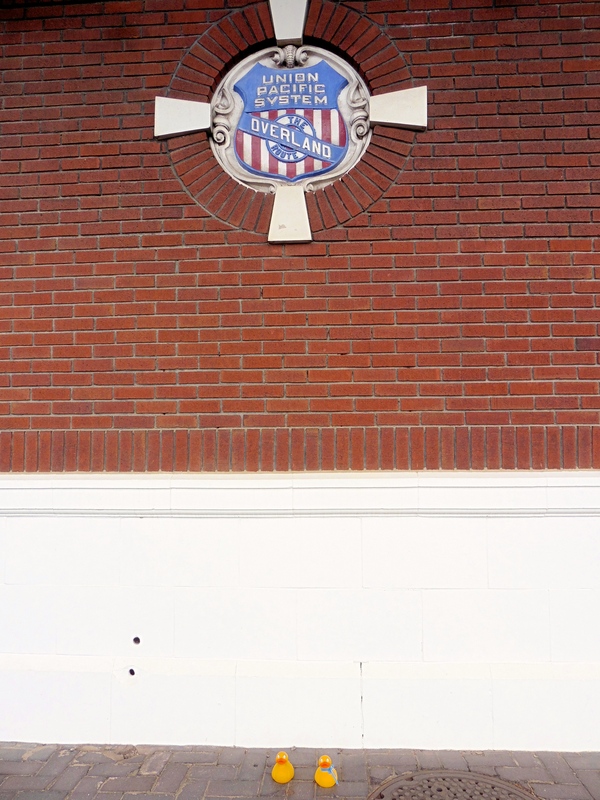 Since the Union Pacific was a huge influence in the founding of Laramie, let’s talk about the railroad. This is the old train station. We liked the luggage cart here. 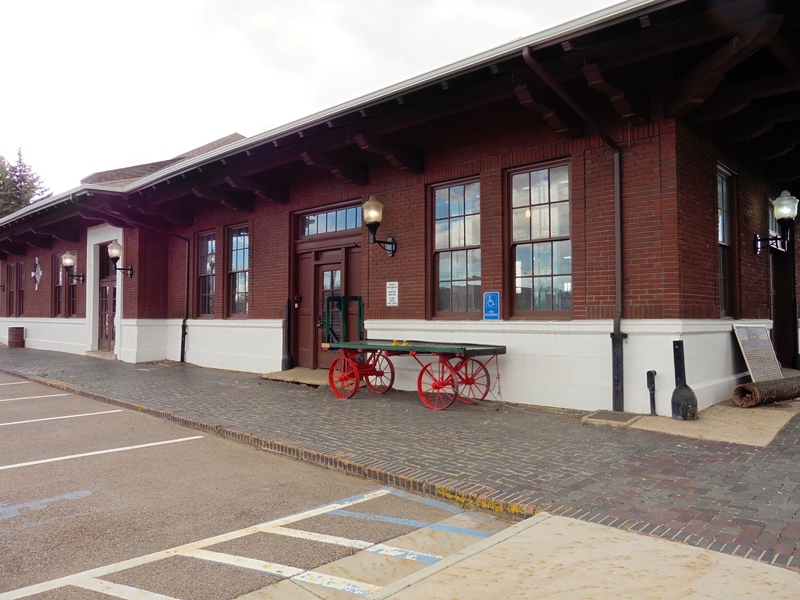 There are no passenger trains coming to this station now, so the train station is now a museum. This sign is reminiscent of the past. We saw the engine and some cars from an old train. Winters here must have a lot of snow. 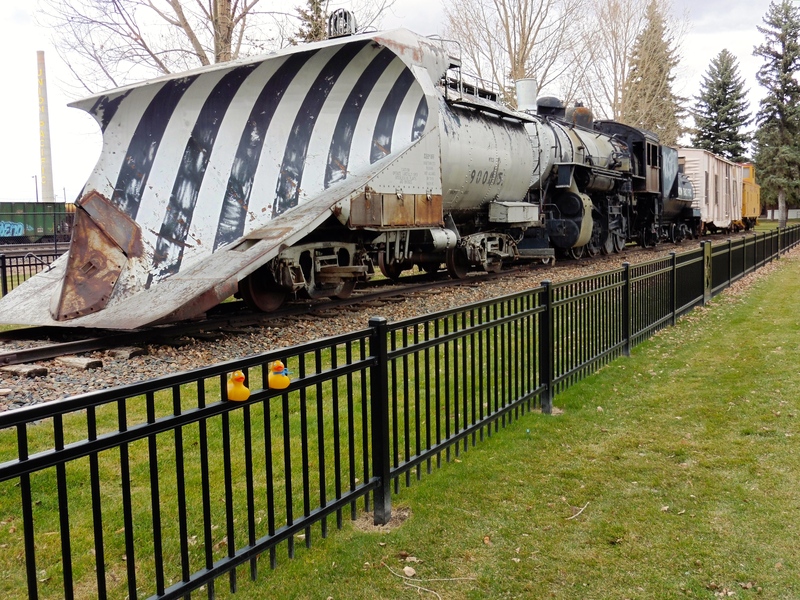 The plow on the front of the engine looks like it could clear the train track in any weather. There are many train tracks. 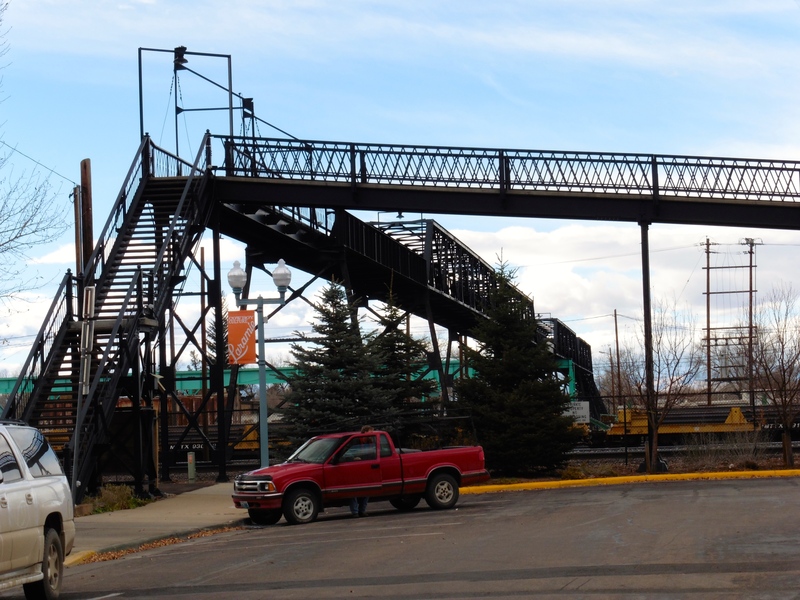 This bridge allows pedestrians to cross all these tracks. 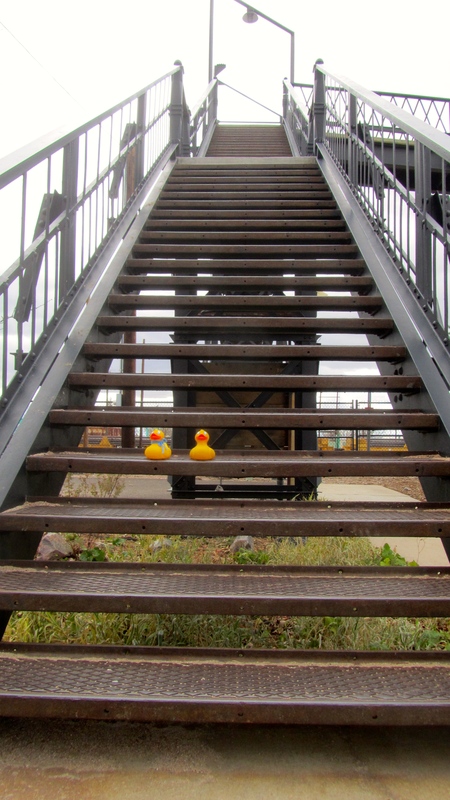 We ducks are ready to cross the bridge, maybe. It was too big for us, so we were carried. Thanks mom. 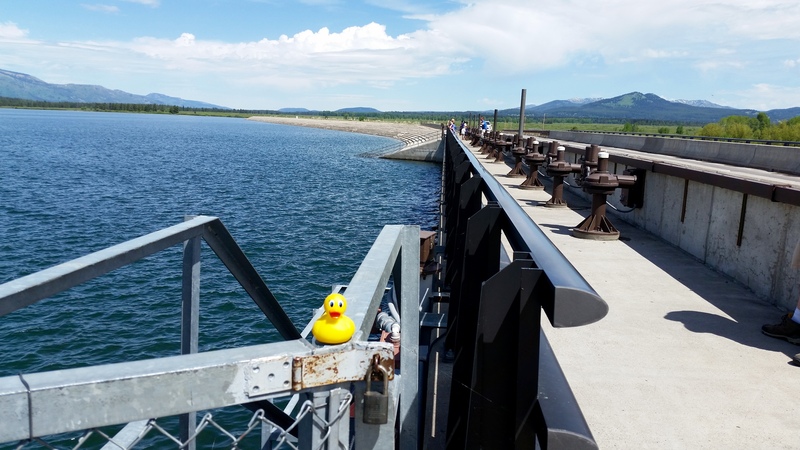 This is really a long bridge. Long bridge to cross all the train tracks. It was too windy for us. 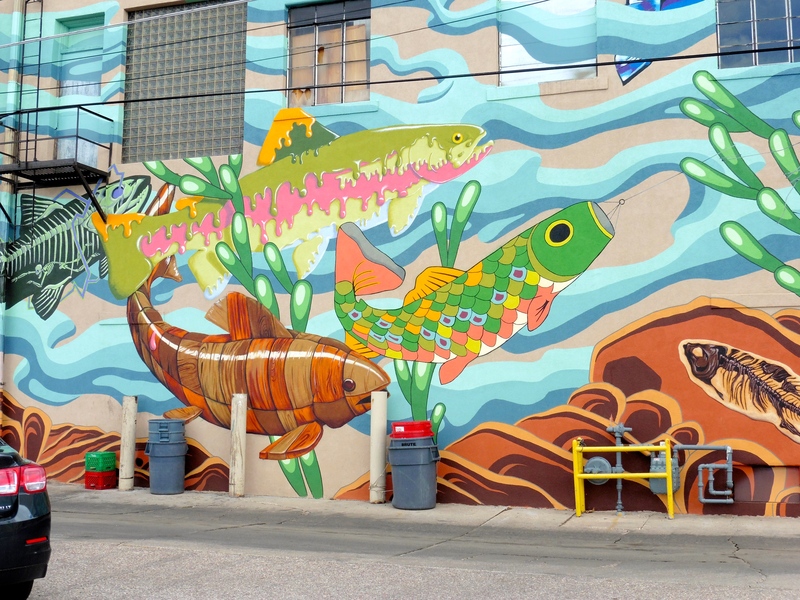 We spend some time in Laramie and thought it was a nice town. The University of Wyoming is in Laramie, also. 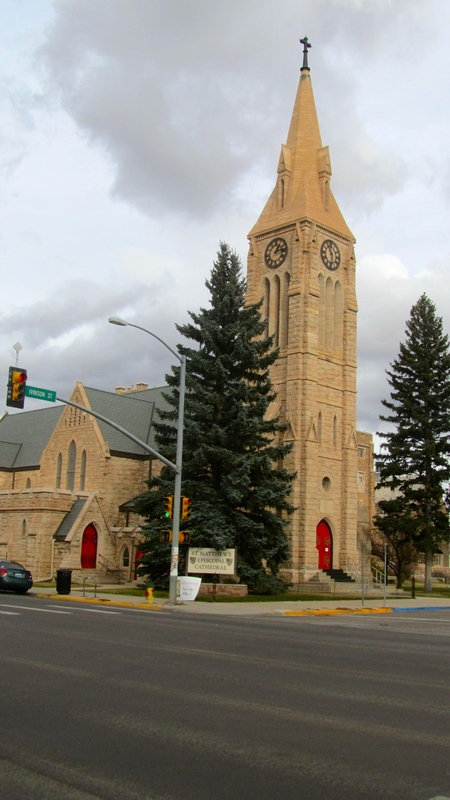 We liked Laramie and hope you will visit and enjoy this city also. 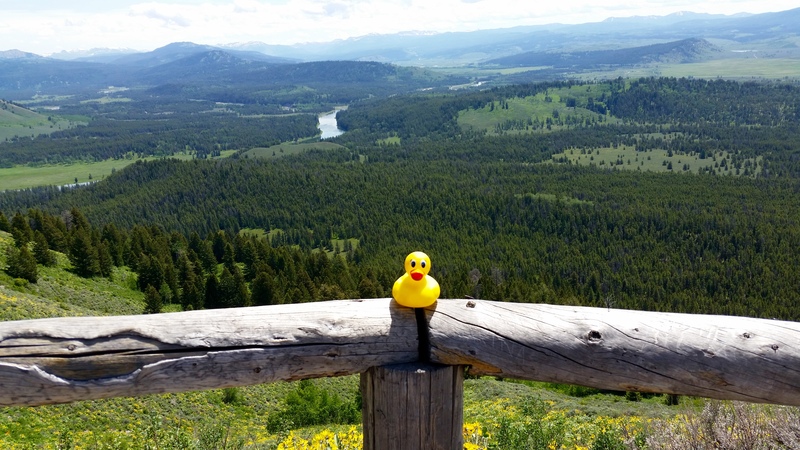 We are happy the Union Pacific Railroad came here to start the city of Laramie.